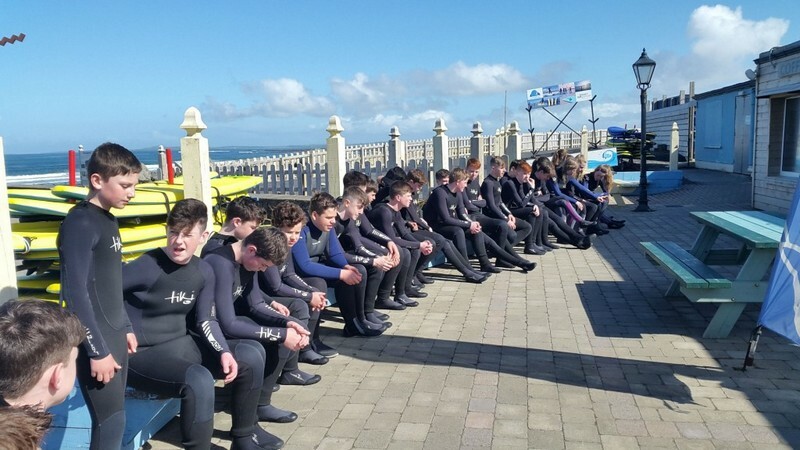 The two 2nd year Business classes joined together for their end of year trip recently. They went to Strandhill for a fun day of surfing followed by crêpes and a drink. All students had to fund the trip themselves by working around the house for their parents. They had to complete a certain number of hours of work in a contract of employment signed by their parents. It turned out to be a fabulous day and all the students enjoyed it.